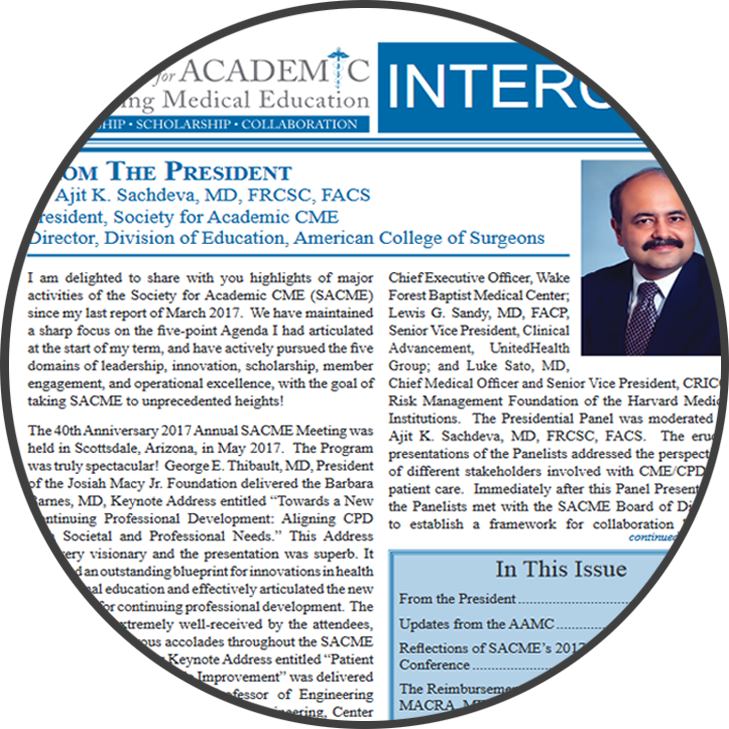 INTERCOM is SACME's newsletter. It is produced by and for SACME members. Please contact our office if you would like to see an older issue. 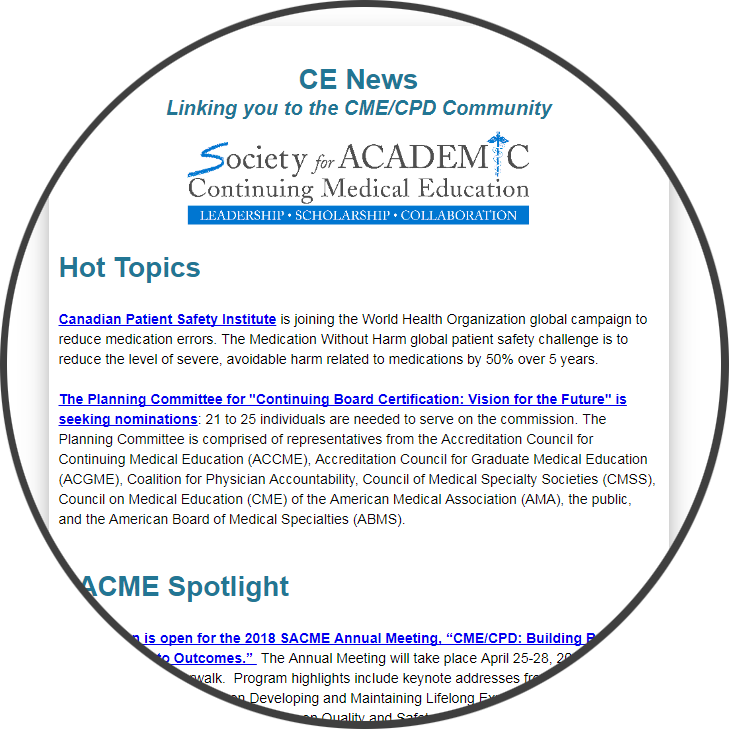 CE News is SACME link to multiple outside organizations with important news and events related to CME/CPD. 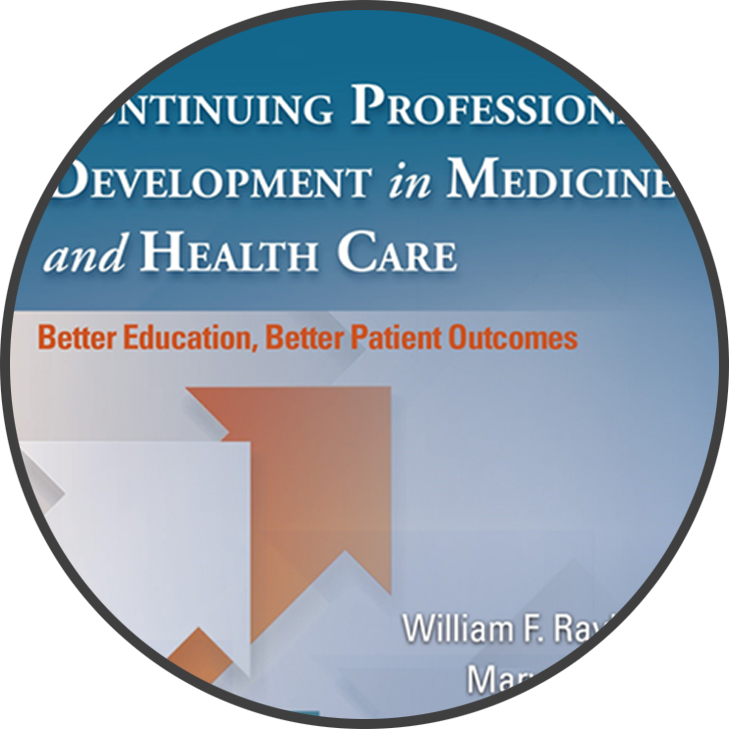 It is produced by and for all CME/CPD professionals. Click here to be added to the CE News mailing list.